The Rear Wheel Have Brakes . The backrest and the legrest inclination are performed thanks to the 2 cranks. The grid frame of the bed is made of metal and the panels are made of melamine. 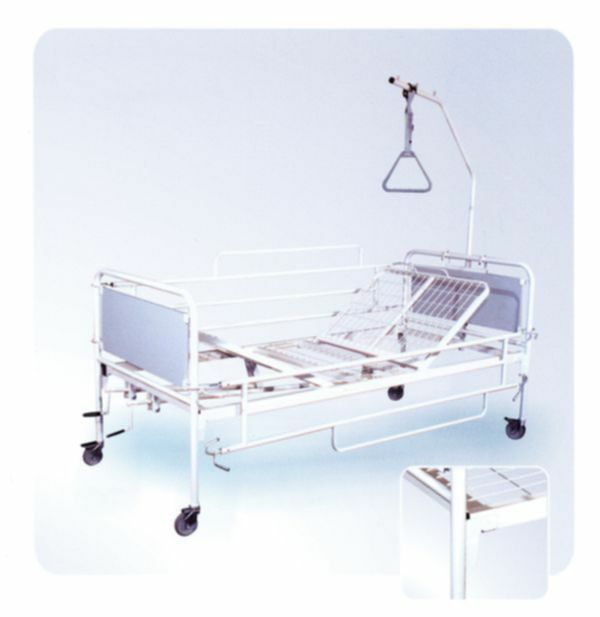 Lifting pole, side rails and foam mattress can be adjusted.